I’m pretty sure I’ve reached “fangirl” status when it comes to Bear Paw Creek‘s movement props. This is the 4th song I’ve written specifically for one of their products, because they are SO perfect for my early childhood music classes. I’m just now getting around to using the balloon ball in my upcoming session, so I’m really excited to see how my little ones will react to it. I think it will be right up their alley — a bright, lightweight “ball” (the balloon inside gives creates its round form) they can toss and roll to each other. Just like all of Bear Paw Creek’s products, it’s made (in the U.S.) of colorful, high-quality material. My other favorites include stretchy bands, connect-a-bands, and bean bags. I wanted to make sure this song and activity is as social as it is fun, so I’ll have each kiddo takes turns rolling or tossing the balloon ball to another member of the circle. There are already lots of other ideas floating around in my head for how to incorporate it, but this is a good jumping off point. 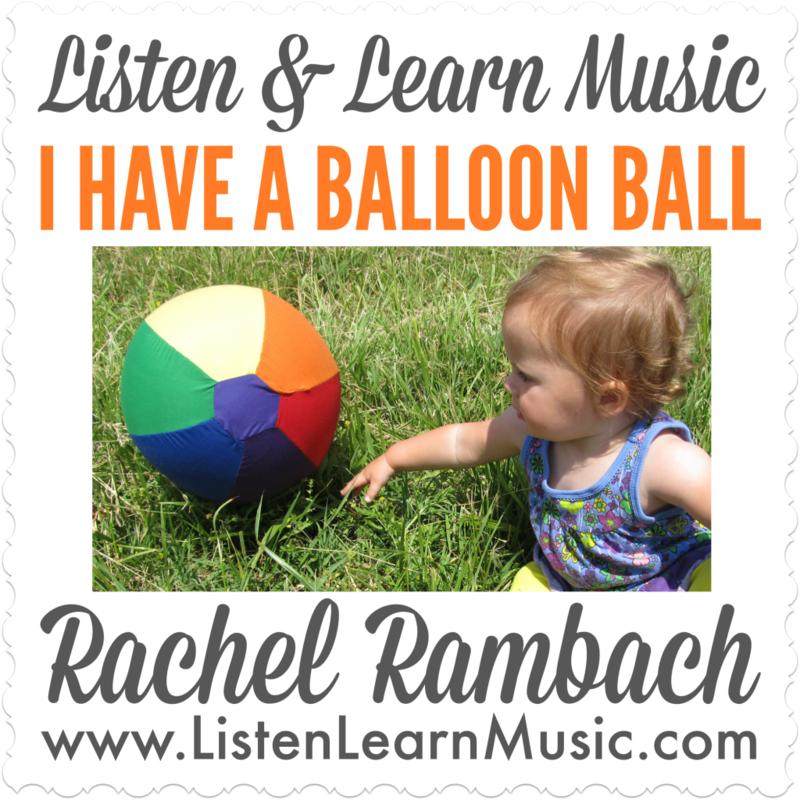 I can’t wait to put the balloon ball and this song to use in my classes this week! That — PLUS access to the blog archive containing over 150 other songs, lead sheets, visual aides, and valuable resources. Learn more about becoming a Listen & Learn Plus! member. I sat down a few months ago to write a song targeting the goal of appropriate voice volume for one of my music therapy clients. As I brainstormed, the song “Say Something” by a Great Big World immediately came to mind (quite possibly because 3 of my voice students were working on this at the time). My client was working on controlling the level of her voice in certain situations, including using a loud voice when giving commands to her companion dog and talking quietly in places like church. I pepped up the tempo, changed the words, and grabbed my ukulele to record this little ditty in one take…here’s the result. When I use this song in music therapy sessions, I have my client fill in “loudly” and “quietly” at the appropriate spots in the lyrics. We also practice speaking in both a loud and soft voice, usually just counting to 10. There are lots of other ways to target this goal, but it’s always fun to insert some pop culture when possible.